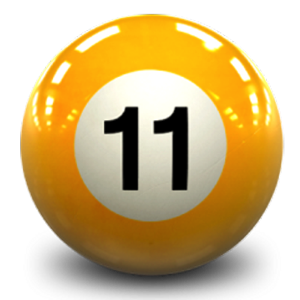 Eleven years ago today, on May 13, 2005, also Friday the 13th, I wrote my first post for this Discovering Identity blog, then hosted on the Sun Microsystems blog server. In my maiden post, entitled Sun-Microsoft Interoperability – Focus on Identity Management, I wrote about Scott McNealy and Steve Ballmer speaking about enabling interoperability between Microsoft and Sun platforms. Identity Management is the key to enabling interoperability. It is the pivot about which the Microsoft/Sun relationship turns. Why – because Identity, by its very nature, transcends platforms. Regardless of which application or platform is being used, a user’s basic identity doesn’t change. So, in a naturally heterogenous world, an ability to rise above the differences between computer platforms is necessary if companies are to reach goals of efficiency and connectivity they require for business success. Although I might now change a word or two in that paragraph, the essence of the statement still holds true – Identity is definitely a key enabler for digital interactions among people, systems, applications and devices. I’m delighted to be here, on the front lines of a market with high customer demand, multiple business benefits, interesting innovation, strong competition and real-world results. It turned out that publishing my blog was the single most beneficial thing I did for my career at Sun. It opened doors, solidified my credibility, triggered new opportunities and launched new friendships with people all over the world. A lot of water has passed under the proverbial bridge in the last eleven years. Just think – my blog is older than the iPhone and almost as old as Facebook! Once a formidable giant, Sun Microsystems is no more. Interesting terms like the “Internet of Things” and “selfie” hadn’t yet been invented when this blog was launched. The number of channels for sharing information on the Internet has skyrocketed exponentially since then. But the content of this blog still hangs around. Although the frequency of my posts diminished dramatically after joining Oracle six years ago, and my blog’s popularity in the IAM industry certainly waned, I still find it enjoyable to make my little contribution to the blogosphere every now and then. It makes me wonder, what will the next eleven years bring? We in the information security organizations of Oracle have been waiting anxiously for this announcement. This week, the North American Sales and Sales Consulting organizations gathered in Santa Clara, CA, to be training in this exciting new set of products. There are three major reasons why I believe this announcement is a big step forward for our customers. 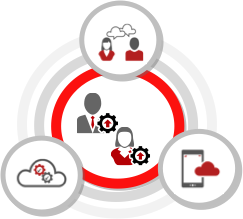 First, this release delivers advanced functionality that gives really compelling business reasons for existing Sun Identity Manager customers to migrate to the Oracle Platform. It is no longer an issue of “moving from point A to point A in functionality,” just to get on the Oracle platform before premium support expires for the Sun product. It means moving to the Oracle platform to leverage really innovative capabilities that will accelerate business value..
Second, this platform brings to reality a dream we were promoting at Sun as part of Project Destination way back before the Oracle acquisition: integrating Identity and SOA technologies to deliver “highly personalized, identity-enabled, blended applications on mobile devices.” The new Mobile and Social capabilities and Secure API functionality added to the Oracle Access Management platform, provide a fully-integrated platform to deliver such functionality more easily and more securely than ever before. Back at Sun, many of our customers adopted the vision we espoused, but making it happen was pretty hard work. Now, the Oracle Access Management platform does all the heavy lifting for us. 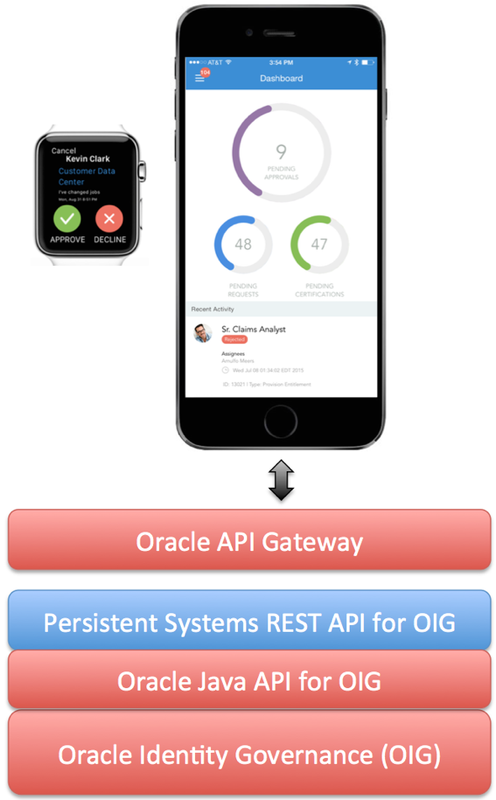 Third, this release shows continued, significant progress towards Oracle’s vision of a truly integrated, service-oriented architecture for Identity and Access Management. No longer is the Oracle suite just a nice collection of acquired products. 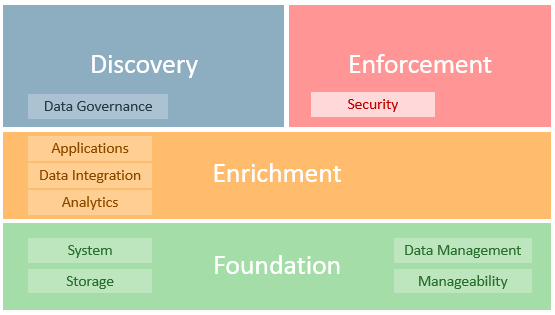 From my perspective as an Enterprise Architect, it is great to see the convergence of data models, functionality, administration services and architectural components. It is the simplification and streamlining of architecture that will ultimately solve the complexity our customers face. So, it will be great to work with our customers to show how they can leverage this great platform to meet their business needs. Saddle up for a great ride! In response to requests that I refresh my Discovering Identity blog that has been lying dormant on blogs.oracle.com since February 2010, I have commenced today to satisfy that request. I created this blog on blogs.sun.com in May 2005 and updated it regularly until Oracle acquired Sun in February 2010, at which time I switched to self-publishing the blog here at discoveringidentity.com. The full archive of my posts from May 2005 to February 2010 is available on this site and also on the oracle.blogs.com site. From now on, I will publish items of interest to the Oracle community on both sites and address issues beyond that scope on this discoveringidentity.com site. If anyone has items you would like me to address specifically on the blogs.oracle.com site, please let me know. What are your plans for November 9th? Why don’t you plan to join Mark Hurd, John Fowler and an elite cadre of Oracle folks at the Solaris 11 launch at Gotham Hall on Broadway in the Big Apple! You can register here for an in-person seat. 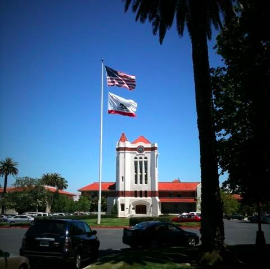 I have spent the week with my North American information security colleagues from Oracle, meeting on the historic Oracle/Sun Microsystems campus in Santa Clara, California. What a delight it was to visit this beautiful campus once again as I mingled with so many friends and professional associates. 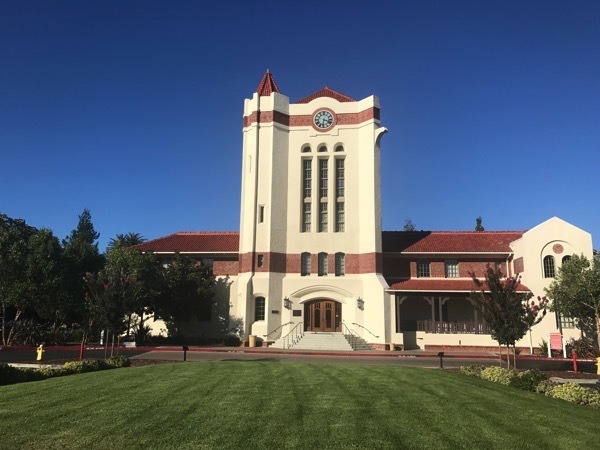 This business campus was built on the site of the former Agnews Insane Asylum. Several of the elegant old buildings remain, suitably updated and equipped for modern use. But I heard flitting comments today that some people think these buildings are haunted. 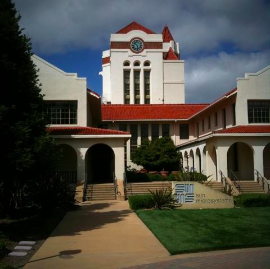 Back in the day, the Clock Tower building was known as the Treatment Center. It makes you wonder what went on there … and what ghosts the “treatments” left behind. Here are a couple of photos I took of the Clock Tower building with my iPhone this week. It was interesting that a Sun Microsystems sign/monument still occupies a prominent position in the rear of the Clock Tower building, near another smaller monument honoring a Sun Microsystems leader who perished in the 9/11 bombing in 2001. What irony! 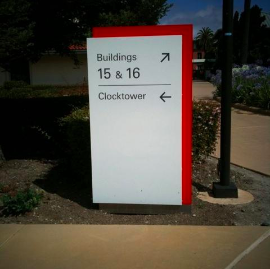 All the other signs were brightly accented with bright Oracle red – a fitting reminder about whose campus this really is. But it has been suitably nostalgic to visit this place today. As I participated in an hour-long conference call while sitting on the concrete bench surrounding the beautiful fountain near the rear of the Clock Tower building today, I couldn’t help but think of the many, many hours I spent on this campus during my five years with Sun Microsystems, the wonderful colleagues I worked with, and the dreams we shared together.